Contains useful articles and information about the industry as well as a comprehensive guide to our members and their products. This guide is for anyone wishing to buy or select pumps and save money. The aid is to help you choose a pump of good efficiency which in turn will reduce your energy costs. The Industry's most complete and up-to-date Life Cycle Cost Guide for pumping systems. Comprehensive and authorative, the new Guide to LCC Analysis for Pumping Systems logical and clearly presents engineering, design specification and analytical methodologies for optimising pump systems designs and maximising pumping system lifetime cost savings. - LCC formula and step-by-step calculation chart - System design for maximum ROI, minimum cost - Analysis of existing pumping systmes - Extensive LCC analyses - Plus and extensive bibliography supplemented by case histories and over a hundred cost-saving curves, formulas, flowchart and diagrams Optimising pump systems design and saving the total life cycle cost of a pumping system requires more than merely minimizing waste maximising efficiency, cutting energy costs of trimming mainencance expenses. 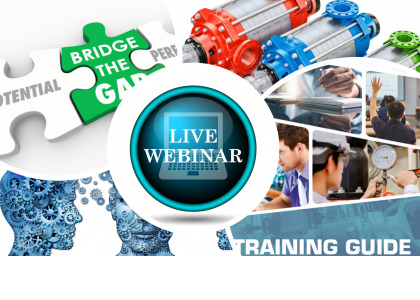 The fact is components of pumping systems are interdependent. Design, operation, maintenance, energy, piping controls, flow, fluid dynamic everything in the system can be optimised to minimise total life cycle costs. 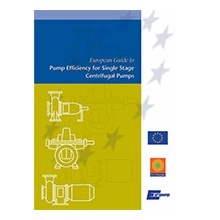 HI/EUROPUMP's "Pump Life Cycle Costs: A Guide to LCC Analysis for Pumping Systems describes essential pumping system components and show you, step-by-step, the considerations necessary to specify, design and operate the system for minimum life cycle costs. Quantity discounts available. Contact BPMA direct. Post & packing costs apply. 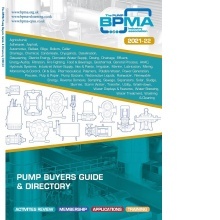 Theis Guide provides an introduction to the very complex subject of the selection of pumps. It is aimed at anyone who wishes to purchase or select a pump and, at the same time, wishes to save money on their energy bill. Available in .pdf format. A guide to the Specific Application of VSDs for Borehold and Wet-Well Pumps. Available in .pdf format. The new guide "NPSH for Rotodynamic Pumps" is intended to be a reference booklet for users of pumps and pump systems. It provides a broad range of information on every aspect of cavitation and NPSH in all kinds of Rotodynamic Pumps ranging from Side Channel to Axial Flow type. Post & packing costs apply. The primary aim of this booklet is to give technical information that will be useful to pump users and plant planners in order to get a better understanding of the various phenomena that can be associated with operating rotodynamic pumps outside their preferred operating range. It can be used for educational purposes for those whoare interested in understading what occurs in rotodynamic pumps in off design conditions. Post & packing costs apply.